This Crane 168 Snack Center Vending Machine is a bright colored, snack vendor with colorful decals on the front -exactly as shown in the photos. 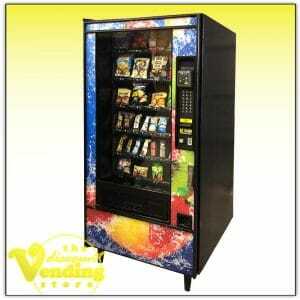 It will vend all types of snacks- chips, bars, pastries, etc. as well as gum or mints. There are 6 shelves for snack selections and a 5 selection gum/mint module. This machine is equipped with SureVend, Crane's guaranteed product delivery system. Infrared technology detects whether a vended product has dropped, guaranteeing customers either receive their product or get their money back. Candy tray shelf motors couple easily and dividers slide out to convert candy selections to snack selections - with no tools required! The coin unit on this vending machine will accept and dispense nickels, dimes, and quarters. The dollar bill validator will accept $1 bills only. 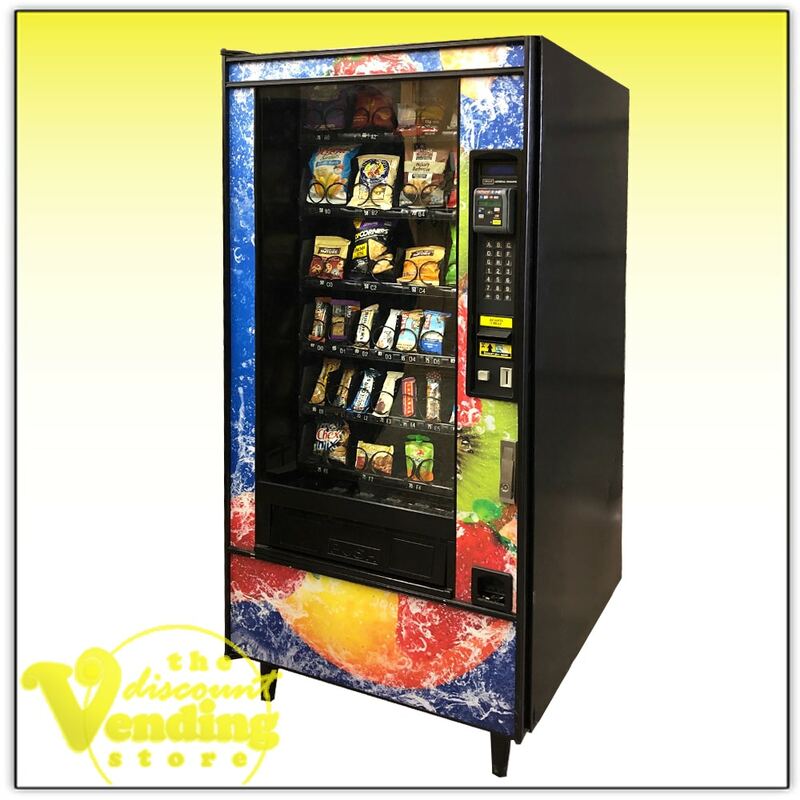 Crane is very popular and well respected in the vending industry. Parts for these machines should be available from your local vending distributors and we also carry many of the parts, which we can sell to you if needed. Included with this purchase are the owner's manual and two sets of keys. 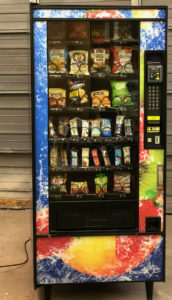 This snack vending machine is classified as "Refurbished" and is in great condition. There may be some very minor scratches, scuff marks or dings in the sheet metal, but they will be insignificant. We have repainted this snack machine with a shiny new coat of black Rustoleum paint. 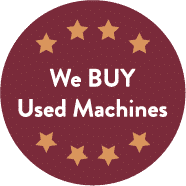 We have tested everything including the coin unit, dollar bill validator, each of the motors, latch doors, keypad, and LED display, and found everything to be in perfect operating condition. The optional credit card reader is made by USA Tech and can be activated by calling USA Tech. It can double your sales without doing any extra work. No wires are needed as it's totally wireless. It provides a sales log which can be accessed remotely to see your daily, weekly or monthly reports. This makes tracking product sales very simple and reliable. For more info on the credit card readers, please visit our blog.